^ Collection size. British Museum. ^ Mark Brown, arts correspondent. 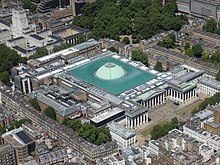 The British Museum celebrates 255 years with record visitor numbers. The Guardian. [15 January 2014].